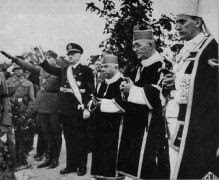 Eternal Rememberance: Gate of the concentration Camp Fascist Croatia's fathers and leaders: Ante Pavelic on the far left and Roman Catholic Archbishop Aloysius Stepinac, on the far right. The third largest concentration camp of the World War II nazi occupied Europe was founded by infamous Ustashi. Its name was: J A S E N O V A C.
It was established by the Ustaša (Ustasha) regime of the Independent State of Croatia in August 1941, and dismantled in April 1945. Unlike other concentration and extermination camps, in Jasenovac the main victims were ethnic Serbs, whom Ante Pavelić considered the main racial enemy of NDH (Nezavisna Drzava Hrvatska - Independent State of Croatia), although the other groups (Jews and Gypsies) were also the victims. Jasenovac was a complex of 5 subcamps and 3 smaller camps spread out over 240 square kilometers (93 square miles), in relatively close proximity to each other, on the bank of the Sava river. Most of the camp was at Jasenovac, about 100 km (62 miles) southeast of Zagreb. The complex also included large grounds at Donja Gradina, a camp for children in Sisak to the northwest, and a women's camp in Stara Gradiška to the southeast. Some of the first legal orders of the new country NDH reflected the acceptance of the ideology of Nazi Germany and Fascist Italy, with an emphasis placed on Croatian national issues. The first "Legal order for the defence of the people and the state" dated April 17, 1941 ordered the death penalty for "infringement of the honour and vital interests of the Croatian people and the survival of the Independent State of Croatia". It was soon followed by the "Legal order of races" and the "Legal order of the protection of Aryan blood and the honour of the Croatian people" dated April 30, 1941, as well as the "Order of the creation and definition of the racial-political committee" dated June 4, 1941. The enforcement of these legal acts was done not only through normal courts but also new out-of-order courts as well as mobile court-martials with extended jurisdictions. (*) The normal jails could no longer sustain the rate of new inmates and the Ustaša government started preparing the grounds what would become the Jasenovac concentration camp by July 1941. The Jasenovac complex was built between August 1941 and February 1942. The first two camps, Krapje and Bročica, were closed in November 1941. The creation of the camp and its management and supervision were entrusted to Department III of a special police force called Ustaška Narodna Služba or UNS. This organization was headed by Vjekoslav "Maks" Luburić. Some others involved in commanding the camp at different times were Miroslav Majstorović and Dinko Šakić. The Ustaše interned mostly Serbs in Jasenovac. Other victims included Jews, Bosniaks,Gypsies, and opponents of the Ustaša regime. Most of the Jews were murdered there until August 1942, when they started being deported to the Auschwitz concentration camp. On their arrival most of the Jews were killed at execution sites near the camp: Granik, Gradina, and other places. Those kept alive were mostly skilled at needed professions and trades (doctors, pharmacists, electricians, shoemakers, goldsmiths...). The living conditions in the camp were extremely severe: a meager diet, deplorable accommodations, a particularly cruel regime, and cruel behavior by the Ustaše guards. The conditions improved only for short periods during visits by delegations, such as the press delegation that visited in February 1942 and a Red Cross delegation in June 1944. Similar to Nazi concentration Camps, first prisoners were marked with colors: blue for Serbs, and red for communists, while Gypsies had no marks. This was later abandoned. The acts of murder and of cruelty in the camp reached their peak in the late summer of 1942, when tens of thousands of Serbian villagers were deported to Jasenovac from the area of the fighting against the partisans in the Kozara mountain (in Bosnia). Most of the men were killed at Jasenovac. The women were sent to forced labor in Germany, and the children were taken from their mothers; some were murdered and others were dispersed in orphanages throughout the country. >>> * <<< * >>> * <<< * >>> * <<< * >>> * <<< * >>> * <<< On the night of August 29, 1942, bets were made among the prison guards as to who could liquidate the largest number of inmates. One of the guards named Petar Brzica reportedly cut the throats of 1,360 prisoners with a butcher knife. Having been proclaimed the prize-winner of the competition, he was dubbed "King of the Cut-throats". A gold watch, a silver service, a roasted suckling pig, and wine were among his rewards. There was also a unique child and infant sub-camp where babies were burned. Children were taken to woods and then killed one by one manually with a "malj"—mallet in the head. The Germans said that the Ustasha were the worst and most cruel murderers. Prisoners in Jasenovac were forced to drink water from Sava river with "ren". At the last moment, in January, 1945, more than 50,000 prisoners who were able to walk were led from the camp. In April 1945 the partisan army approached the camp. The Ustaša attempted to erase traces of the atrocities by working the death camp at full capacity. On April 22, 600 prisoners revolted: 520 were killed and 80 escaped. 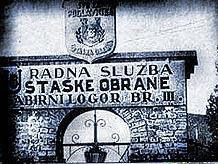 Before leaving the camp around April 22, the Ustaša killed the remaining prisoners, blasted and destroyed the buildings, guard-houses, torture rooms, the "Picili Furnace" and the other structures. Upon entering the camp, the liberators found only ruins, soot, smoke, and dead bodies. During the following months of 1945, the grounds of Jasenovac were thoroughly destroyed by forced labourers, composed of 200 to 600 Domobran soldiers captured by the Partisans, thereby making the area a labor camp. They levelled the camp to the ground and among other things dismantled a two-kilometer long, four-meter high wall that surrounded it. 3,462 Croats as well as people of some other ethnicities. The approximations in the death count also come from the fact that in cases where entire families were exterminated, no one was left to submit their names to the lists. 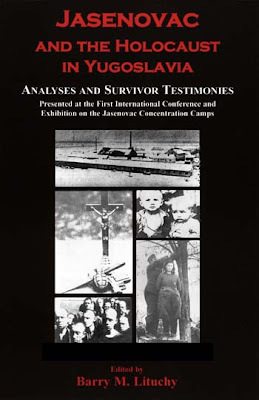 There are various statistics and estimates about the number of victims who died in the Jasenovac camp, mainly due to lack of exact records, and to various interests involved in estimating them. The numbers mentioned most often range from the tens of thousands, which is the most common cited contemporary figure, to the hundreds of thousands, which was the most frequently quoted assessment until the 1990s. Serbs constituted the majority of victims. The actual number of victims killed in the Jasenovac camp is impossible to ascertain definitely, so the figures vary widely. As reported in the world's eminent authority on Holocaust victims, the Yad Vashem Center, 600,000 mainly Serbs. Further research on the victims of the Ustaša regime in Croatia during World War II is necessary to enable historians and demographers to determine more precisely the number of those who perished under the rule of the Independent State of Croatia. Due to differing views and lack of documentation, estimates for the number of Serbian victims in Croatia range widely, from 25,000 to more than one million. The precise number of Jews murdered in the Jasenovac complex is not known, but estimates range from 8,000 to 20,000 victims. These numbers do not include Jews whom the Ustaša authorities turned over to the Germans for deportation to Auschwitz and other camps. The best estimates calculate the number of Romani victims at about 26,000, of whom between 8,000 and 15,000 perished in Jasenovac. There are only loose estimates for the number of Croats murdered by the Ustaša. 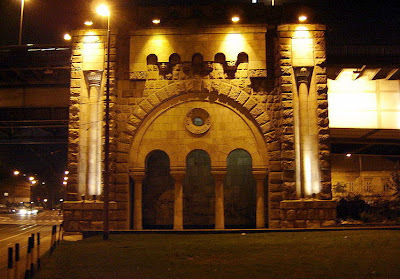 This group included political and religious opponents of the regime, both Catholic and Muslim. Between 5,000 and 12,000 Croats are believed to have died in Jasenovac. (* * *)"We have slaughtered here at Jasenovac more people than the Ottoman Empire was able to do during its occupation of Europe." Many consider these statements to belong to the drunk bragging of a mass murderer, and therefore of dubious value as a historical testimony. A report made by the new government under Tito, the National Committee of Croatia for the investigation of the crimes of the occupation forces and their collaborators, dated November 15, 1945 stated that 500,000-600,000 people were killed at the Jasenovac complex. These numbers were officially supported while Yugoslavia existed. (*) Modern independent researchers have pegged the victim count to between 56,000 and 97,000. 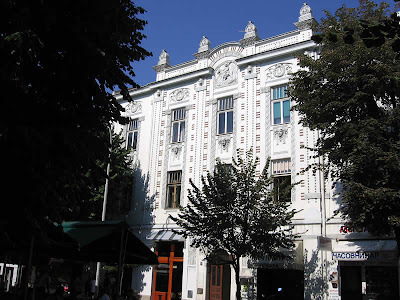 (*) Ante Pavelić fled via Bleiburg to Austria, and few months later was transferred to Rome. 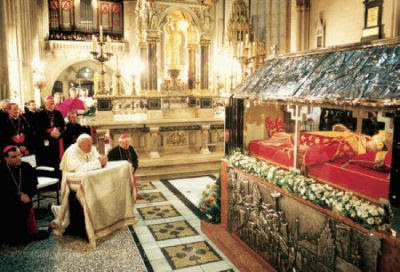 It is alleged that he was hidden there by members of the Roman Catholic Church. Upon his arriving in Argentina, he became security advisor to Juan Peron. In April 1957 he was shot twice by a Serbian nationalist, Blagoje Jovović, and forced to flee Argentina. Pavelić found refuge in Spain, where he died of his wounds in Madrid in late 1959. (*) Miroslav Filipovic-Majstorović, the former priest, was captured by the Yugoslav communist forces, tried and executed in 1946. (*) Maks Luburić fled to Spain but was assassinated by a Yugoslav agent in 1969. (*) Andrija Artuković fled to America, but was extradited by the US to Zagreb in the 1980s. There he was tried and sentenced to death May 14, 1986, but died of natural causes in prison on January 16, 1988. 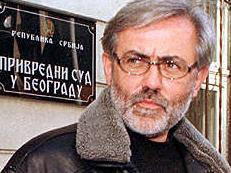 (*) Dinko Šakić fled to Argentina but was eventually brought to justice in the 1990s and sentenced by Croatian authorities to 20 years in prison. (*) Petar Brzica fled to the United States. His name was on a list of 59 Nazis living in the US given by a Jewish organization to the Immigration and Naturalization Service during the 1970s. Brzica has remained unrevealed. There you have it, the dry description of Jasenovac. As dry as can be. The exact number of Serbs, Jews and Gypsies that perished at this particular location may never be known. This does not relief the pain. Every life is precious, some say, and thus the numbers are not that important. The point still remains: this was, by many accounts, the third largest concentration camp in the occupied Europe. Also, it was one of the cruelest. Jews suffered through many camps in WWII. Having that in mind, the terms here used: "a particularly cruel regime and unbelievably cruel behavior by Ustase guards" give a good picture of the monstrosities perpetrated in Jasenovac. And ..."only a few survived". "Jasenovac Concentration Camp distinguished itself because of the number of young inmates sent there. In 1942 the camp held over 24,000 [Serb] Orthodox youngsters. 12 000 of them were murdered in cold blood by the Commandant." 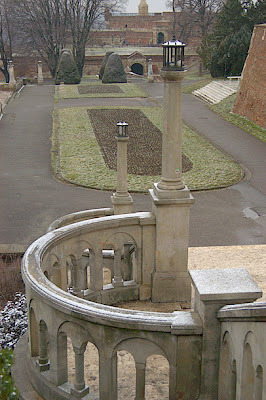 During the Yugoslav wars, the grounds of Jasenovac concentration camp and the Memorial area were temporarily abandoned due to the military conflict. In November 1991, Simo Brdar, a former associate director of the Memorial area collected the documentation from the museum and brought it with him to Bosnia and Herzegovina, where he kept it until it was transferred to the United States Holocaust Memorial Museum in 2001 with the help of SFOR and the then government of Republika Srpska. In April 2005 in New York City on the sixtieth anniversary of the liberation of the camps, a public monument to the victims of Jasenovac was established by the New York City Parks Department, the Holocaust Park Committee and the Jasenovac Research Institute with the help of US Congressman Anthony Weiner. It remains the only public monument to Jasenovac established outside of the Balkans in the world. Its unveiling was attended by some ten Survivors of the Holocaust in Yugoslavia and diplomats from Serbia, Bosnia and Israel. 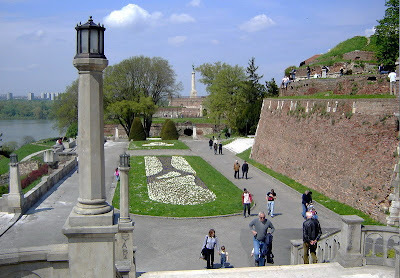 Annual commemorations are held there every April. The Jasenovac Memorial Museum re-opened in November 2006 with a new exhibition designed by Croatian architect Helena Paver Njirić and an Educational Center by the firm Produkcija. The town of Jasenovac lies north of the Sava River, near its junction with the Una River in the Srpska Vojna Krajina, or Serbian Military Frontier Province. Before the German invasion of Yugoslavia in 1941, Jasenovac was a growing industrial town. The majority of the population of Jasenovac was Serbian Orthodox. 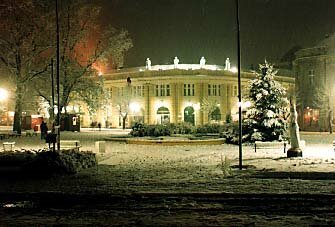 The town lies on the train route from Belgrade to Zagreb. Jasenovac became the largest and most important concentration camp (sabirni logor) and extermination camp complex in the Nezavisna Hrvatska Drzava (NDH), Independent State of Croatia, during World War II. The Jasenovac concentration camp complex would be crucial in the systematic and planned genocide of the Orthodox Serbs of the Srpska Vojna Krajina and of Bosnia-Hercegovina by the Croats and Bosnian Muslims. Other concentration camps were established in Sisak, Stara Gradiska, Djakovo, Lepoglava, Loborgrad. In all, there would be 22 concentration camps in the NDH, almost half of which were commanded by Roman Catholic Croatian priests. The Croats first rounded up and murdered the Serbian population of Jasenovac and established a garrison in the town. In no part of occupied Europe during World War II were more churches and monasteries destroyed than in the NDH. In the NDH - Croatia, Lika, Kordun, Banija, Bosnia, Srem, Hercegovina - approximately 450 Serbian Orthodox churches and iconostases were destroyed. The St. John the Baptist Serbian Orthodox Church in Jasenovac,built in 1775,was destroyed by Croat troops on August 15, 1941. The first transports brought Serbs and Jews to the nearby village of Krapje, which was 7 miles west of Jasenovac. At this site, the prisoners were forced to build the camp that was called Jasenovac Camp No. 1. A second camp was built after the increase in the number of prisoners called Camp No.2. Camp No.3 was built near the Ciglara brick factory, Ozren Bacic & Company, at the mouth of the Lonja and downstream from Jasenovac. Camp No.4 was built in Jasenovac itself near the former leather factory. The camp at the nearby town of Stara Gradiska is referred to as Camp No.5. The maximum capacity of all the camps was 7,000 prisoners but usually only 4,000 prisoners were there at any one time. The concentration camps were under the authority of Ustasha Security Service Kommando Eugen Dido Kvaternik. Jasenovac was established in August, 1941 and was dismantled in April, 1945. The creation and management of the camp complex were given to Department III of the Croatian Security Police (Ustashka Nadzorna Sluzba; UNS) which was headed by Vjekoslav Maks Luburic, who commanded the Jasenovac camp. 7) Tenje, near Osijek, was established in March 1942 and disbanded in August 1942, when all the prisoners were transferred to Birkenau-Auschwitz to be gassed. Like the German Birkenau-Auschwitz (Oswiecim) concentration camp and extermination camp complex in Oswiecim, Poland, Jasenovac became a symbol of genocide and mass extermination, an enduring symbol of man's inhumanity to man. On April 10, 1941, Slavko Kvaternik proclaimed the Independent State of Croatia which included Croatia, Bosnia-Hercegovina and parts of Serbia. The NDH was a Nazi-fascist puppet state created by Adolf Hitler and Benito Mussolini, ruled by the Ustashi, or 'insurgents'. The Vice-President, from November 1941 to April 1945, was Dzafer Kulenovic, a Bosnian Muslim. The Minister of the Interior was Andrija Artukovic from Ljubuski. The Minister of Justice was Mirko Puk, of the Army was Slavko Kvaternik, of Education and Cults was Mile Budak. Immediately following the creation of the NDH, the Croats and Muslims embarked upon a widescale systematic and planned genocide against the Serbian Orthodox populations and Jews and Gypsies. On April 25,1941, in decree-law, No.XXV-33Z, the Serbian Orthodox Cyrillic alphabet was outlawed and Orthodox Serbs were forced to wear a blue band with the letter 'P' for Pravoslavac, Orthodox. In Belovar, Serbs were forced to wear a red armband with the word 'Serb'. 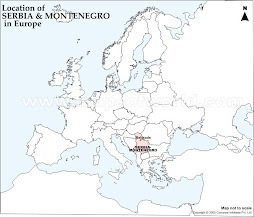 Orthodox Serbs in the NDH were derecognized and were referred to as grkoistocnjaka, Greek Easterners, or Croatian 'dissidents' or bivshi Srbi, 'former or ex-Serbs'. 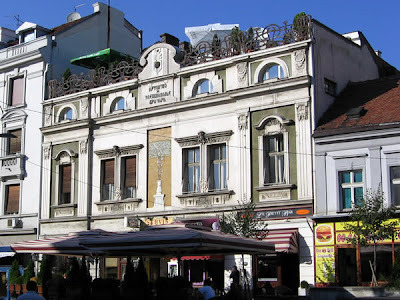 The property and possessions of the Serbian Orthodox Church were confiscated. Hundreds of Serbian Orthodox priests were murdered and hundreds were sent to the concentration camps. (***) Bishop Platon Jovanovic of Banja Luka was arrested on May 5-6, 1941 and then his eyes were gouged out, his nose and ears were cut off and he was then shot in the head and his body dumped in the Vrbanja river. Of 21 bishops, five were killed, 2 imprisoned, two beaten up and deported to Serbia where they soon died from their injuries, only six remaining in their dioceses. 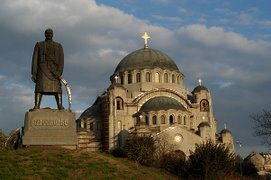 (***) Over 240,000 Orthodox Serbs were forcefully converted to Roman Catholicism. Jews were forced to wear a yellow band with the letter 'Z' for Zidov, Jew. The Croatian regime initiated and instituted a systematic and planned policy of genocide and ethnic cleansing against the over 3 million Orthodox Serbs living in the NDH. The policy of genocide came to be known as ethnic cleansing or cleansing, ciscenje. This is now the Ustashi and Independent State of Croatia, it must be cleansed of Serbs and Jews. There is no room for any of them here. Not a stone upon a stone will remain of what once belonged to them. This must be a country of Croats and of no one else, and there is no method that we Ustashe will not use in order to make this country truly Croatian and to cleanse it of Serbs... This is the policy of this state. In 1941, Pavelic declared: ''The Jews will be liquidated within a very short time.'' Following the Wannsee Conference of January 20, 1942, where the 'Final Solution to the Jewish Problem' was formulated, the Germans proposed through SS Sturmbannfuehrer Hans Helm that the Croats transfer Jewish prisoners to German camps in the east. Eugen Dido Kvaternik, chief of the NDH security services, agreed that the NDH would arrest the Jews, take them to railheads, and pay the Germans 30 reichsmarks per person for the cost of transport to the extermination camps in the east. The Germans agreed that the property of the Jews would go to the Croat government. SS Hauptsturmfuehrer Franz Abromeit was sent to supervise the deportations to Auschwitz. From August 13-20,1942, 5,500 Jews from the NDH were transpoted to Aushwitz on five trains from the Croat concentration camps at Tenje and Loborgrad and from Zagreb and Sarajevo. Reichsfuehrer-SS Heinrich Himmler was on a state visit to Zagreb in May,1943 when two trains on May 5 and 10 trasported 1,150 Jews to Auschwitz. Immediately following the birth of the former Yugoslavia (1918), all the enemies of the Croat people - the Jews, Communists and Freemasons - united to destroy the Croatian people and all their national characteristics... The Jews worked for and prepared the world revolution... The Jews, as one of the most dangerous international organizations, tried to achieve world Jewry... in order that the Jews might gain full mastery over all goods of the world and all the power in the world... The Jews wanted to achieve these aims not only through international Jewry as such, but also through the Communists. Communism is the child of Jewry and one of the principle levers for the world mastery of the Jews... 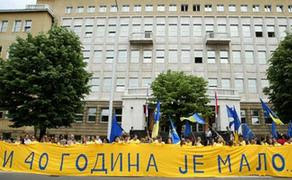 The Judeo-Communists have tried to bring about the disintegration of the Croatian national body... The Croatian people, having re-established their independent state of Croatia, could not do otherwise but to clean off the poisonous damagers and insatiable parasites - Jews, Communists, Freemasons... The independent state of Croatia, as an Ustashi state,... settled the so-called Jewish question with a decisive and healthy grasp. The Vatican dismissed the Croatian massacres and genocide against Orthodox Serbs and Jews as 'teething troubles of a new regime' in a statement by Monsignor Domenico Tardini of the Vatican state secretariat. The Catholic Croats established an alliance with Bosnian Muslims in the NDH to ethnically cleanse and to exterminate the Orthodox Serbs. From April to November 1941, the Vice-President of the NDH was Bosnian Muslim Osman Kulenovic from Bihac. From November 1941 to April 1945, the Vice-President of the NDH was his brother Dzafer Kulenovic. 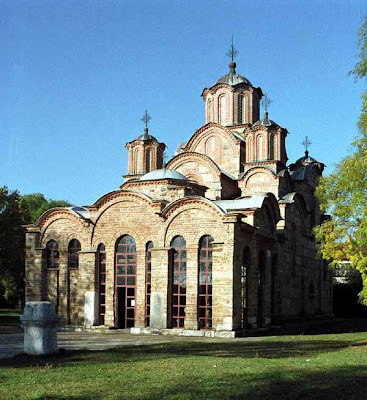 Dzafer Kulenovic ordered that the Serbian Orthodox Church at Brcko be destroyed, the cemetery dug up, and the bones of the Orthodox Serbs be dispersed. In the Croat-Muslim NDH, not even the dead were spared. In 1971 Kurt Waldheim was elected United Nations Secretary-General serving two terms and in 1986 was elected President of Austria.But in l942 oberleutnant Kurt Waldheim was ordnance officer under Generalmajor (Brigadier General) Friedrich Stahl, commander of the 714th Infantry Division of the German Army (Wehrmacht) at the time of the Kozara action, one of the most horrendous acts of genocide and ethnic cleansing during World War II in western Bosnia against the Orthodox Serbian population. In 1947, the Communist dictatorship of Yugoslavia placed Waldheim on the UN war criminals and war crimes list but like Haj Amin el Husseini, he was never tried for war crimes against the Bosnian Serb population. The Kozara action was conducted by the battle group 'West Bosnia' (Kampf gruppe WestBosnien) under task force commander Generalmajor Friedrich Stahl, commander of the 714th Infantry Division, who organized his combat elements around three German infantry battalions with artillery support and two Croatian mountain brigades, the 1st and 2nd Croatian Mountain Brigades in June 1942. Today the undertaking of the battle group 'West Bosnia' in the area of Kozara and Prosara was ended. The entire population of the encompassed area was resettled and thus a thorough purge was carried out. Over 140 Serbian Orthodox villages of the Potkozarje were depopulated, razed and ethnically cleansed and the Serbian inhabitants, men, women and children, were taken to assembly and concentration camps, Jasenovac, Cerovljani, Mlaka, Jablana, Stara Gradiska, Novska, Prijedor, and Zemun. Approximately 68,600 Serbian Orthodox civilians, including 23,800 children from the Kozara region were cleansed and settled in concentration camps. The children were sent to Jasenovac, Jadovno, Loborgrad, Stara Gradiska, Djakovo, Kruscica, Tenje and Sajmiste, where they were murdered, those surviving being dispersed in orphanages. The women that were not murdered were sent for forced labor in Nazi Germany. The children were lying there helpless, even too weak to cry. They were dying slowly and quietly. About 20 female prisoners, themselves as helpless as the children, were taking care of them. Once we were ordered to fetch all the sick children and to house them in the attic rooms of the infamous tower. Then Ante Vrban, the commandant of the camp, had poison gas injected into the rooms. Then there was an eerie silence in the camp, as if life itself had been extinguished. Their chief aim was the liquidation of the Serbs. Like the Nazi concentration camps of Bergen-Belsen, Dachau, and Birkenau-Auschwitz, Jasenovac was officially a 'labor camp'. But like the Nazi concentration camps, Jasenovac made use of hard labor and slow starvation through withholding of nutrition to slowly kill the inmates. Prisoners were given a watery, salty soup made of patato peels.In the evening, turnip soup was given with 5 or 6 beans. The bread was to be 65 grams per day,while on three or four days, no bread was distributed. Each prisoner received 500 calories per day, the daily caloric intake for a healthy person being 2000 to 2500 per day. This regimen lead to a slow process of starvation. Workers were forced to work on the dam and the tile factory. Many died of heart failure and exhaustion. Typhus and dysentery were rampant in the camp. Every day, ten of us froze to death. We didn't at that time have a place set apart for burial, so the corpses lay around everywhere,sometimes in great heaps. There was a so-called 'Black Maria', a closed car that almost every night took away prisoners from the barracks and burned them in the oven like fuel... From the Spring of 1942, they threw the weak and the ill into the brick oven while they were still alive. I myself remained alive, and saw that winter how live people, stiff with cold, were taken under orders and thrown into the brick oven. The tile oven was divided into several ovens with a common chimney. Each oven could hold 40-50 people. The oven was in a long tunnel and the individual ovens were 3 x 4 x 3 yards. The door was opened from the outside,from the tunnel. In one night, 450 to 600 people were incinerated. This room was sealed, so that not a breath of air or a beam of light could penetrate into it. It was,in fact, a gas chamber.Here they killed children of three,five and seven years old,the children of Serbs and Jews, orphaned children. 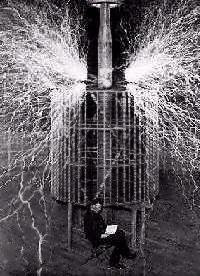 Many women and children were poisoned in special cells (closed rooms) with gas. The gravediggers had to carry out the corpses of those poisoned and either bury them in mass graves or throw them into the crematorium. The prisoner had nowhere dry to sit or to stand. He could neither turn round or stand upright. In such a position,a man would, after a few hours, collapse and fall into the water... There were very few who survived these terrible tortures. They took prisoners, both newcomers and old hands, about 500-600 of them, bound them with rusty wire and took them off to Gradina, where they murdered them day and night. They killed them with mallets and piled them half-alive on heaps, soaked them in paraffin and burned them with coal in pits several yards deep, pouring in paraffin all the while. 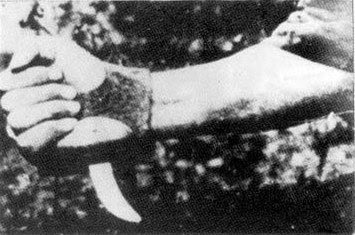 The selected victim, bound with wire, had to climb onto the Granik where the Ustashi, with a slash on the belly, threw him alive into the Sava. We were all terrified of that way of dying; it was crueler than the mallet. Death came more quickly under the mallet. During my tenure, 20,000 to 30,000 prisoners were liquidated in the Jasenovac camp according to my figures... mainly Gypsies, Jews, and Serbs from the Kozara mountains... Sometimes I participated in the liquidations... I admit that I personally killed about 100 prisoners in the Jasenovac camp and in Stara Gradiska. They threw two children to the ground, and the third into the air like a ball. Fra Majstorovic, holding a spike pointing upwards, pierced it three times, while the fourth time, to the accompaniment of both lamentation and laughter, the child remained impaled on the spike. The mothers were thrown to the ground, tearing their hair, and when they began a terrible screaming, Ustashi of the 14th Osijek Company took them off and liquidated them. Five Orthodox priests were led out... They were ordered to sing hymns... One of them, a man of over eighty, ... was immediately beaten with rifle butts... One of the Ustashi - a child of twelve years old - bent over the old man and took out his dagger. In a moment, he had cut off both the priestâs ears. He turned grinning to his companions, saying: ''I'll show them at home tomorrow what sort of ears a Vlach priest has!'' The Ustashi seized the other four... Milos set their beards on fire. Then, after such terrible tortures, they killed them. The Jasenovac concentration camp became so notorious and infamous for the crimes committed there that international delegations requested to inspect the camp. In February 1942 a press delegation inspected the camp, while a Red Cross delegation arrived in June 1944. Knowing of their arrival in advance, the NDH regime ensured that these delegations would not find any incriminating evidence. In the final days of the war, the Ustasha commanders and guards blew up all the installations and killed most of the internees, so that no trace of the camp would remain. In 1948, the Communist dictatorship under Josip Broz demolished the crematorium and the remaining buildings, leaving virtually nothing of the Jasenovac camp remaining. How many persons were murdered in Jasenovac and the other concentration camps? When the flood waters of the Sava River receded, the banks revealed a myriad of human bones, the bones of men, the bones of women, the bones of children, the common grave and final resting place of countless victims of genocide and mass murder. Pišem Vam ovo kao covjek covjeku, kao kršcanin kršcaninu. Nakanjujem se mjesecima na to, cekajuci hoće li prestati stizati užasne vijesti iz Hrvatske, kako bi se mogao sabrati i mirnije pisati. Punih 10 mjeseci kako se po Hrvatskoj na najzvjerskiji način Srbi ubijaju i uništavaju se milijarde njihova imetka, a crvenilo stida i gnjeva oblijeva lice svakog poštenog Hrvata. Pokolj Srba poceo je prvih dana jadne Nezavisne Države Hrvatske (Gospic, Glina, Gudovac, Bosanska Krajina, itd) i traje bez prekidanja i ovih dana. Nije sva strahota u samom ubijanju. Ona je u ubijanju svega od reda: staraca, žena i djece, i to u ubijanju uz strahovito divljacko mucenje. Te nevine Srbe su nabijali na kolje, ložili im vatru na golim prsima, pekli ih žive na vatri, spaljivali u kucama i crkvama žive, polijevali kljucalom vodom i tada poliveno mjesto derali i solili, kopali živim oci, rezali uši, jezik, nos, svecenicima rezali noževima brade i obrve skupa sa kožom i mesom, otsecali im spolovilo i zaticali u usta, vezivali ih odostraga za kamione i onda sa njima jurili, prebijali ljudima noge i ruke, zabijali im u glavu eksere, golemim ekserima zakivali ih za pod kroz slijepo oko, bacali žive u bunare i provalije, a odozgo na njih bacali bombe, razbijali im gvozdenim cekicima glave, djecu bacali u vatru, vrelu vodu, u krecane, rastrzavali djecu za noge, razbijali im glave o zidove, prebijali kicme o kamenje i klade i još mnoga užasna mucenja izvršavali, kakva normalni ljudi ne mogu ni zamisliti. Hiljade i hiljade srpskih lešina nosila je Sava, Drava i Dunav, kao pritoke ovih rijeka. Bilo je lešina sa natpisom: „Pravac Beograd - putuj Kralju Petru”: u jednom camcu koji je uhvacen na Savi bila je hrpa decjih glava sa jednom ženskom (može biti glava majke te djece) sa natpisom „Meso za Jovanovu pijacu u Beogradu”! Strahovit je slučaj Mileve Božinic iz Stabandže, iz koje su na nožu izvadili dijete. Pa grozni slučaj nadjenih pecenih glava u Bosni. Nadjene su posude pune srpske krvi, slučajevi prisiljavanja Srba da piju vrucu krv svoje poklane brace. Silovane su nebrojene žene, djevojke i djevojcice, matere pred kcerima i kceri pred materama, a gomile djevojaka, žena i djevojcica odvodene su u logore ustaša za bludnice. Čak su silovanja vršena i u oltarima pravoslavnih crkava. U Kotaru Petrinjskom natjeran je sin da siluje rodenu mater! Pokolj tri hiljade Srba u glinskoj pravoslavnoj crkvi i ubijanje Srba u oltaru crkve u Kladuši sve gvozdenim cekicima u glavu, stoji bez premca u povijesti. Za sva ova strahovita i necuvena nedjela postoje detaljni i vjerodostojni zapisnici. Užas ovih nedjela zaprepastio je i Nijemce i Talijane. Oni su fotografirali ogroman broj slučajeva ovih užasnih pokolja. Nijemci govore da su Hrvati ovo radili i za vrijeme tridesetogodišnjeg rata i da je od toga doba postala u Njemackoj izreka: „Sacuvaj nas, Bože, kuge, gladi i Hrvata”. Srijemski Nijemci preziru nas radi toga i postupaju sa Srbima covjecno. Talijani su fotografirali posudu od 3,5 kilograma srpskih ociju, te jednog Hrvata okicenog s ogrlicom, od nanizanih srpskih ociju i jednoga koji je došao u Dubrovnik opasan sa dva derdana srpskih jezika. Strahote logora u kojima su pobijene hiljade Srba ili su puštene da pomru od zlostavljanja, gladi i zime, užasne su. Nijemci pripovijedaju o jednom logoru u Lici u kom je bilo na hiljade Srba, ali kad su došli tamo našli su ga prazna, natopljena krvlju i krvavim krpama rublja i odece. Tu je, kažu, izgubio glavu i jedan srpski vladika. U jasenovackom logoru i danas se muce i propadaju hiljade Srba koji su tamo po ovoj strašnoj zimi smešteni u poderane ciganske barake bez dovoljno slame i pokrivaca, dobijajuci dnevno za hranu po dva krompira. U povijesti Evrope nije bilo ovakvih slučajeva. Mora se poći u Aziju u doba Tamerlana i Džingis kana ili u Afriku, u crnacke države njihovih krvolocnih vlada, da se naide na slične slučajeve. Sa ovim je hrvatsko ime osramoceno na vjekove. Ništa nas ne može potpuno oprati. Ni poslednjem Ciganinu na Balkanu nećemo smjeti spomenuti našu hiljadugodišnju kulturu hrvatsku, jer niti Cigani nisu ovakvih zvjerstava radili. Zašto ja ovo pišem Vama, kada niste politicka licnost i ne možete za ovo snositi odgovornost? Evo zašto: u svima ovim besprimjernim divljackim zločinstvima koji su više no bezbožni, sudjelovala je i naša katolicka crkva. Veliki broj svecenika, klerika, fratara i organizovane katolicke mladeži sudjelovali su u svemu ovome; katolicki svecenici postali su logornici i tabornici ustaški, te su kao takovi naredivali i odobravali ta strašna mucenja i klanja krštenog svijeta. Čak je i jedan katolicki svecenik zaklao jednog pravoslavnog svecenika. Oni to nisu smjeli ciniti bez dozvole svojih biskupa, a ako su cinili bez nje, onda su morali gubiti službu i doći pred sud. Buduci da se to nije dogodilo, znači da su biskupi dali svoju dozvolu. Drugo, katolicka crkva je upotrebila sve ovo da pokatolici preživjele Srbe. Dok se zemlja još pušila od nevine krvi mucenika, dok su jecaji razdirali grudi preživjelih nesrecnika, svecenici, fratri, casne sestre, nosili su im u jednoj ruci ustaški bodež, a u drugoj molitvenik i krunicu. Sav je Srijem preplavljen lecima biskupa Akšamovica tiskanim u njegovoj tiskarnici u Đakovu u kojima se pozivaju Srbi da spasu živote i imetke prelaženjem u katolicku vjeru. Naša crkva kao da je htjela pokazati da zna ubijati duše, a ustaška vlast tijela. A na katolicku crkvu pada još veca sumnja za to što su u isto vrijema srušene mnogobrojne pravoslavne crkve, druge preobracene u katolicke, oteti svi pravoslavni samostani, razvucena sva imovina i upropašcene velike povijesne vrijednosti, pa čak nije ostavljena na miru ni patrijaršijska crkva u Srijemskim Karlovcima. Sva ova nasilja na savjesti i duši nanijela su još veću sramotu hrvatskom imenu. I ako se mi Hrvati nećemo moći sasvim oprati od sramote koju smo na se navukli ovim zločinstvima, ipak možemo svoju odgovornost smanjiti pred svjetom i svojom savjesti, ako dignemo svoj glas protiv svega gore navedenog. Poslednji je cas da to učinimo. Poslije sviju velikih zločinstava u povijesti covjecanstva i velike kazne. Šta će biti od nas Hrvata ako se dobije utisak da smo baš do kraja u ovim zločinstvima ustrajali? Uprvom redu dužna je crkva da digne svoj glas, prije svega zato što je crkva Isusova. A poslije toga zato što je ona mocna. U Njemackoj su veliki katolicki biskupi imali smjelosti da dignu svoj glas u korist progonjenih Židova, a kod nas nijedan biskup nije digao svoj glas u korist progonjenih kršcana koji su strašnije progonjeni nego Židovi u Njemackoj. I zato će na glave katolicke crkve pasti najveca odgovornost za kaznu Božiju i ljudsku koja mora snaci hrvatski narod ako se na vreme ne pokaje za ovaj strašni i neoprostivi svoj grijeh. Napisao sam Vam ovo pismo da spasim svoju dušu, a Vama ostavljam da tražite i nadete puta za spasenje svoje duše. Jedan od mnogih koji je prvo covek i kršcanin, a onda i dobar Hrvat. 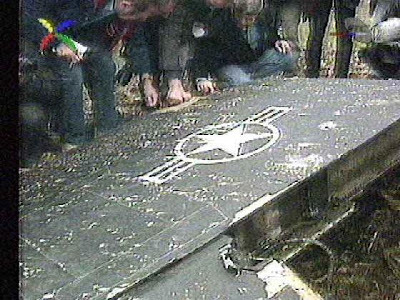 On March 27, 1999, during the NATO invasion, the 3rd Battalion of the 250th Missile Brigade under the command of Colonel Zoltán Dani, equipped with the Isayev S-125 'Neva-M' (NATO designation SA-3 'Goa'), downed F-117A serial number 82-806 with a Neva-M missile. Several SA-3s were launched, one of which detonated in close promixity to the F-117A, forcing the pilot to eject. 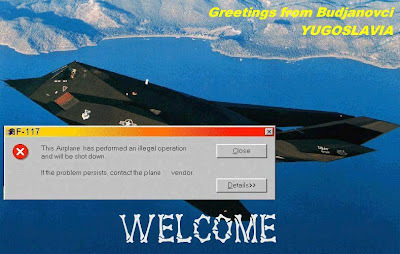 The pilot survived and was later rescued by NATO forces. 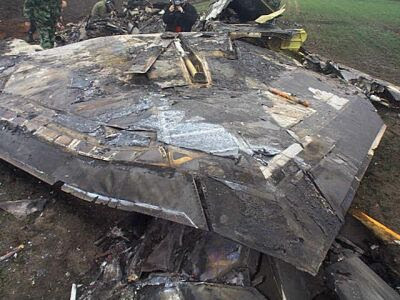 However, the wreckage of the F-117 was not promptly bombed, and the Serbs are believed to have invited Russian personnel to inspect the remains, inevitably compromising the US stealth technology. Parts of the shot-down aircraft are now presented to the public in the Museum of Yugoslav Aviation in Belgrade. 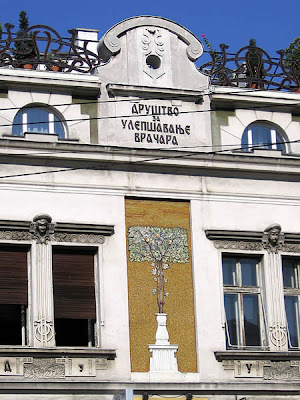 Njegoseva 11, Belgrade - Arh. 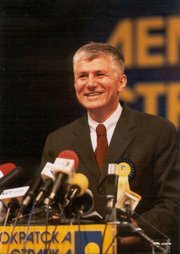 Branko Tanazovic. 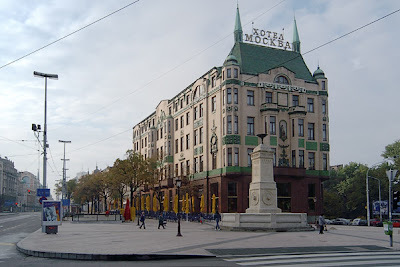 Built between 1912 -1914. Project of arh. Milan Antonovic. 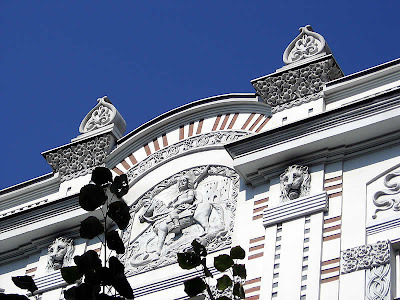 Built in 1901. (*) I made this photo of the church entrance during my last visit in Jun, 2006. St. George's Church (Smederevo) was built in brilliant baroque style in 1854. The inside is offering jewels of the ortodox art of XVII and XVIII centuries: the iconostasis and wall paintings. 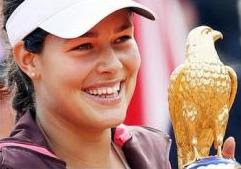 Marija Serifovic was given a hero's welcome by some 30,000 fans when she returned to Serbia after winning the 2007 Eurovision Song Contest in Finland. Serifovic won with a heart-wrenching ballad "Molitva (The Prayer). 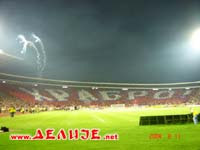 "It was Serbia's first participation in the contest as an independent country. U.S. advanced to the Sept. 5 medal round quarterfinals with a No. 2 Seed. In a do-or-die quarterfinals game featuring the two teams most felt would meet in the gold medal contest, the USA watched its gold medal hopes come crashing down around it after defending world champion Yugoslavia rallied back from 10 points down with 6:42 remaining in the fourth quarter to take an 81-78 victory. The United States' scoring was led by Pierce and Andre Miller who each tallied 19 points, while Yuogslavia was paced by Sacramento Kings All-Stars Predrag Stojakovic and Vlade Divac. Stojakovic finished with a game high 20 points and Divac added 16 points and 11 rebounds. In the World Championship gold medal game, Yugoslavia defeated Argentina 84-77 in overtime as Dejan Bodiroga scored 27 points, including nine in a row at the end of regulation to rally his team from an eight-point deficit. The gold medal victory was Yugoslavia's second consecutive and its fifth gold medal in the World Basketball Championships. In the bronze medal game, Germany, earned its first-ever medal in the World Basketball Championships after overcoming an early deficit to defeat New Zealand 117-94. Pedja Stojakovic, Vlade Divac and the Yugoslavian team danced, hugged and celebrated at the center of Conseco Fieldhouse. More than 1,000 of their flag-waving, chanting supporters serenaded them with cheers and applause. Pulling off one of the biggest victories in its history, Yugoslavia defeated the United States 81-78 Thursday night in the quarterfinals of the World Championships. Yugoslavia had been looking forward to playing the U.S. team for months, and the manner in which they won validated all their hard work and bold talk. In Belgrade, Serbs fired shots into the air and danced and sang to celebrate their team's victory. Several thousand people celebrated the victory at a downtown square. The fans took to the streets in cars and on foot, honking horns and setting off firecrackers. In New Belgrade, residents set off fireworks and lit flares. Yugoslavia fought back from a 10-point deficit in the fourth quarter to send the U.S. team to yet another loss. Stojakovic, one of five NBA players on Yugoslavia's roster, scored 20 points. Vlade Divac added 16 - all in the first half, and Milan Gurovic had 15. Argentina drew first blood. But it was Yugoslavia that delivered the knockout blow to USA Basketball. In an intense battle that wasn't expected until the gold medal game, Yugoslavia battled back from a 10-point fourth quarter deficit to defeat the United States 81-78. The loss kicks Team USA out of medal contention. To add insult to injury, it was a non-NBA player, Milan Gurovic, who put the dagger in Team USA's heart. Gurovic was 3-for-3 from the 3-point line in the fourth including a huge 3 with 58 second left to put Team Yugo up by four. Two of Yugoslavia's NBA players, Predrag Drobjnak and Vladimir Radmanovic, never even got in the game. "It's tough to swallow for me," Paul Pierce said. "I'm very disappointed in the fact that we let our country down -- on the U.S. soil." Despite the huge stakes and the attractive match-up, American fans stayed away as the game drew just 5,362 people. Yugoslavian fans outnumbered American fans 3 to 1. Reggie Miller tried to get the fans chanting U-S-A, U-S-A several times but the chant of YU-GO-SLAVIA quickly drowned them out. By the end of the game, Team USA could have been playing in Belgrade. "It didn't feel like I was playing in America," Stojakovic said. "I felt like I was playing at home. Our people appreciate us. Playing for them brings us joy." Vlade Divac seemed to be saving his best for the United States. After averaging just 7.7 ppg in the first six games, Divac exploded for 16 points and five rebounds in the first half. Divac's play helped Yugoslavia outscore the U.S. 24 to 10 in the paint and 12 to 4 on second chance points. 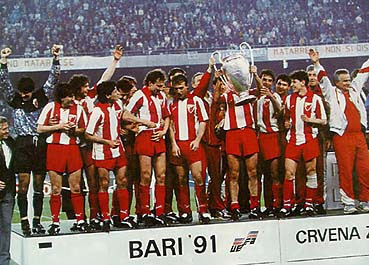 Champions of Europe - Bari 1991. Curuvija, who edited the newspapers "Dnevni Telegraf" and "Evropljanin", was shot 17 times in the head and back by two masked gunmen April 11 outside his Belgrade apartment during the NATO military offensive. 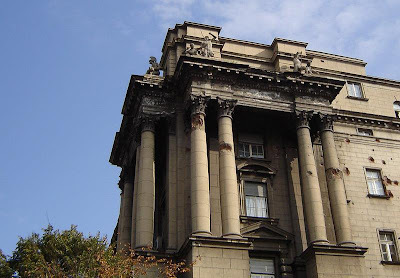 He was owner and editor of his newspaper, the first private daily established in Serbia. Curuvija was returning home with his wife at the time of the shooting. He had been repeatedly harassed for his articles critical of the regime of President Slobodan Milosevic and various state-owned newspapers had called him a "traitor". The daily newspaper "Politika" has alleged that three policemen from the Republic of Srpska (a Bosnian Serb entity) are implicated in Curuvija's death, and that Luka Pejovic, a Montenegrin who was identified as Curuvija's killer by a witness, was innocent. Pejovic was gunned down outside his Belgrade home on 5 December 2000. It is Sunday and The Bombed One seems more agitated than usual. Slavko Curuvija was killed a couple of hours ago in front of his house. He wrote some very compromising and raw articles about Milosevic and his lunatic acts. This was one of the few but brave people who stood up and fought. The Bombed One is right on target. In a war where who knows how many people are being killed, the murder of 50-year-old renegade newsman Slavko Curuvija really does get my sympathy. Curuvija, according to The Bombed One and reporters from the former Yugoslav republic, was a great journalist, one who regularly pissed off Slobodan Milosevic. There was little reaction to this crime in Serbia. That is probably a consequence of fear that something could happen to people if they try to speak up. 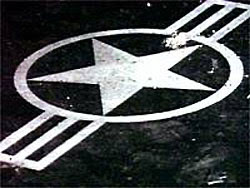 For The Bombed One, Curuvija's death is symbolic. As a publisher and editor, Curuvija had a long history of butting heads with Milosevic, criticizing the Serbian leader's policies, his connection with criminals like Zeljko "Arkan" Raznatovic, and the ruling party's corruption. Bit by bit, Milosevic tightened the noose around Curuvija. On October 14, 1998, the Dnevni Telegraf was banned. Then the newsroom was sealed—and everything taken by government thugs—upon passage of a law called The Creation of Special Measures In Conditions of Immediate War Danger and NATO Threats. 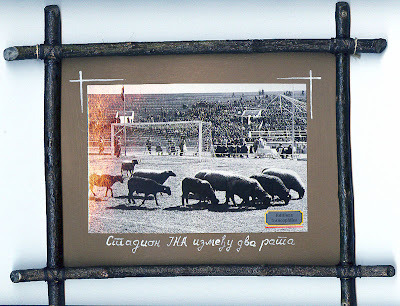 Curuvija and his editorial team were fined several times. Then, on March 8, he was sentenced to five months in jail for "disturbing the public." 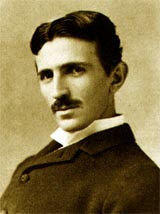 His appeal was in the works at the time of his death. Most people who knew him were in a way expecting something like that to happen to him. 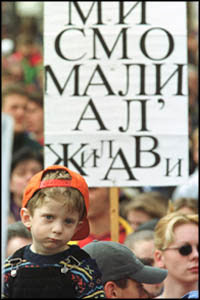 The Bombed One, and Serbs like him opposed to Milosevic, lost perhaps what little hope they had of ending the madness. Me, I lost a hero I never knew I had. April 14, 1999 By all accounts Slavko Curuvija was not a saint. The Serbian publisher and editor had cruised in shady circles, at times even rubbing shoulders with members of Yugoslav President Slobodan Milosevic's regime. His personal life was, well, lively. Tall and charismatic, a dapper dresser with a neatly trimmed gray beard, the 50-year-old had a reputation as a serial womanizer. The editor in chief of the Daily Telegraph newspaper crusaded against the corruption and often brutal actions of Milosevic's cronies. To liberals, he was one of the good guys. So last Sunday, on Orthodox Easter, when masked gunmen pumped seven bullets into his head, a jolt of fear and revulsion hit Belgrade's pro-democracy elite. On Wednesday, despite rumors they would be arrested, more than 2,000 of them -- artists, opposition politicians, journalists -- flocked into downtown Belgrade's sprawling "New Cemetery" to pay respect to one of their own. No one doubted who was behind the assassination. It was a ritual murder, done on a major religious holiday, in front of his wife. It was a message from the regime to people like us that we, too, can end up like that. There's more than one war being waged in Yugoslavia. Milosevic was fighting on at least three other fronts: war in Kosovo, Montenegro President and elimination of liberal opponents. Milosevic liberal opposition in Serbia is on the run, either out of the country or underground. "We're virtually dead. "-says one of them. Make that literally, in the case of Curuvija. Grief and shock floated through the onlookers, but the overriding emotion was fear. Nobody spoke up in protest. As long as the war continues, the situation promises only to get worse. The airstrikes have unified most Serbs behind their leader, if only to defend their country. Ironically, the only faint source of hope comes from a man who once betrayed them. Vuk Draskovic, an eloquent speaker who marched at the front of the pro-democracy protests of 1996, but later meekly joined Milosevic's ruling coalition, gave a surprising speech condemning the killing of Curuvija on his television station Tuesday. "Those who ordered and committed the murder of Slavko Curuvija have pointed on Serbia a weapon more powerful than all of NATO's bombs and missiles," he thundered, warning of a civil war. At the funeral, some people wondered what Draskovic's speech really meant. Only one thing was certain. "Man, he has balls," exclaimed a journalist. Slavko Ćuruvija, born August 9, 1949 in Zagreb. 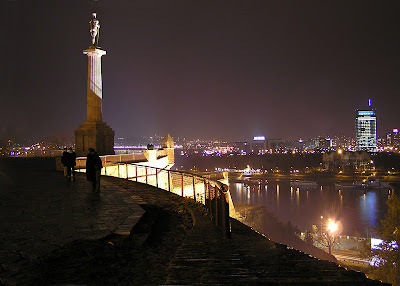 After graduating from University of Belgrade's Faculty of Political Sciences, Ćuruvija found employment as a business secretary and PR assistant at Mašinogradnja company in Belgrade. He soon became the contributor to Zagreb's Danas weekly magazine, as well as to the Social Research Center (Centar za drustvena istrazivanja). Between 1984 and 1986, he worked as an analyst in Federal Interior Secreteriat and State Security. In 1986, Ćuruvija joined the staff of Borba. He stayed with the daily paper until 1994 while regularly contributing to Komunist, Vjesnik, NIN, Večernji list, Nedelja, Pobjeda, TV Belgrade, TV Politika, TV Sarajevo, and some foreign publications. In 1994, after the regime's unofficial takeover at Borba, Ćuruvija, along with many other staffers decided to leave the daily. While some of them quickly reconvened to form Nasa borba, Ćuruvija took another career route, hooking up with Momčilo Đorgović to create Nedeljni telegraf - a weekly tabloid newspaper. 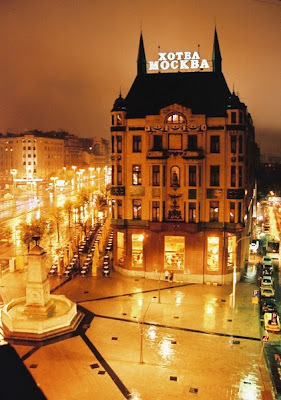 In 1996, the duo founded Dnevni telegraf - Serbia's first privately owned daily in more than 50 years. In 1998, Ćuruvija additionally started a bi-weekly magazine Evropljanin where he gathered some notable names of Serbian journalism such as Aleksandar Tijanić, Ljiljana Smajlović, and Dragan Bujosevic. Both Curuvija-owned publications undeniably benefited from his access to Mirjana Marković, wife of Serbian strongman Slobodan Milosevic. Ćuruvija's common-law wife Branka Prpa who was with him at the time of his murder attaches less significance to this friendship saying that it "revolved around conversations that many other journalists engaged in with Mira Marković hoping to manipulate her into revealing more than she'd originally planned". Prpa went on to add: "However, I think they became the ones being manipulated as the time went on". Dnevni telegraf was banned on October 14, 1998 under a special new decree. Furious with the new developments, Ćuruvija demanded to see Mira Marković and a meeting was arranged at her party's (Yugoslav Left) offices during the week Dnevni telegraf was banned as the new Information Law was being prepared. The meeting, reportedly quickly turned into a heated exchange. Curuvija was shouting: "What the hell do you think you're doing. If you continue down this crazy path, you can be sure you'll all be hanging off lamp posts in Terazije". The culmination of the day-long trial was a crippling DM350,000 fine. "A hired assassin killed him. A more interesting thing is who ordered his murder. I don't know who ordered it, but I know who his greatest enemies were. They were: court, the court jester and the court communists. Slavko had very powerful enemies. Slavko originated from Lika and he endured all of that stoically. He believed that Milosevic would fall soon. I claimed that he would hold power for years. I didn't notice his fear. He had two wrong assumptions. The first one was that this regime was dying. The second was that somebody from high circles would warn him in the case of a danger. It couldn't be expected. Such decisions are usually reached in a very narrow circle and there is no one to warn you. " -He was mostly reproached because of your articles. Were you afraid? "Both of us were threatened. A day before Slavko was murdered, I received twenty phone calls; a male voice repeated the same sentence: You are an imperial agent. The next day, Slavko was dead. When the threats began I allowed him to inform me if my articles endangered his newspapers. We talked twice about it and I suggested that we should make a pause. He refused it. He said that it was our job and that we had to do it. Once, he was visited by a high official of the Socialist Party of Serbia, who told him that I had to stop writing such articles. If not, they would kill me. Slavko called me immediately and told me the name of that man. He is director of a plant. I asked Slavko if that man precisely said that they were going to kill me and not him. Slavko said that I was the one. I told Slavko that he was to decide whether my articles were going to be published or not, but that I would write them in any case. He decided that we should go on. Later events showed that he was more important for them." 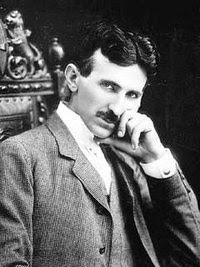 "The first anniversary of his death made a greater sensation than the very murder. Many things were accepted silently because of the war." Slavko Curuvija was killed not because he had fought for the freedom of his newspapers and for the media freedom, but because he had fought for freedom within a society composed of deceits, failures, hallucinations and crime. "He was killed because somebody had estimated that the Serbs' habits of speaking and thinking should be broken." Slavko's murder is the first real political murder in Serbia and the beginning of the public degeneration of the system. With his life, Slavko ransomed the lives of several other journalists. "He who forgets that Slavko was murdered not because of his newspapers, but because of the freedom in Serbia, becomes an accomplice in a continual crime the end of which cannot be seen." Srbi su se, u svojoj dugoj istoriji, kretali u vise pravaca i stigli do Britanskih ostrva i do reke Inda, do Sahare i do Vladivostoka, ali nigde anticka tradicija nije tako jasno ocuvana kao u Crnoj Gori. Srpski koreni su u Podunavlju, ali srce Srbije je u Skadru. Taj stari grad, cije ime potice neposredno od srpskog imena (pominje se kao Sarba, Sarda, Sorda, Skorda, Sardonik, Sadar i Skadar), bio je najduze, oko dvanaest vekova, prestonica Srbije. Toliko dugo je "ponosni grad Sardonik", kako ga naziva kralj Stefan Prvovencani, sa svojim zaledjem, bio centar srpske drzave. Kolevka srpske drzave ili prvobitna Srbija je teritorija savremene Crne Gore, Hercegovine, Kosova i Metohije i severne Albanije. Na tom prostoru je bila prvobitna srpska Ilirija koju Rimljani rasirise preko celog Helmskog (Balkanskog) poluostrva. Tu je i rimska provincija Prevala, centar obnovljene srpske drzave posle raspada Rimske imperije. Prevalu u srednjem veku zamenjuje banat Zeta na cijem uzem podrucju ce se ponovo, posle pada svih srpskih zemalja pod Turke, pojaviti luca srpske slobode - Crna Gora. U devetnaestom veku Crnu Goru nazivali smo srpskom Spartom, a to nije bas slucajno uporedjenje. 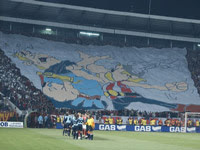 Sa tih prostora su Dorci dosli na Peloponez i izgradili Spartu. Prilikom jedne proslave Matice Srpske u Novom Sadu, knjaz Nikola je poslao telegram ove sadrzine: "Srpska Sparta - Srpskoj Atini!" Cetinje ili Trebinje, Ras ili Prizren, samo su predvorja ponosnog grada Sardonika. Na tome prostoru se ocuvala najcistija srpska tradicija i nepromenjena anticka narodna nosnja, neuporedivo najlepsa na starom kontinentu. Stvarajuci svoje nove drzavne ustanove Crna Gora je obnavljala anticke, pa je tako ocuvala i titulu serdara, a to je zvanje ratnog gospodara starih Arijevaca. Ne zanesi se za velike pobjede, koje s prosutom krvlju zemlje i gradove obaraju, no se zanesi i za male pobjede, tek koje bozanski disu i mirisu!